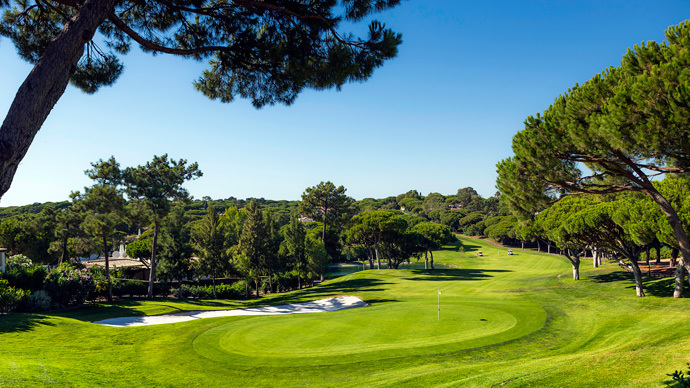 The front nine are located on a slightly hilly land which characterises Vale do Lobo, surrounded by pine trees with sea view from several holes. 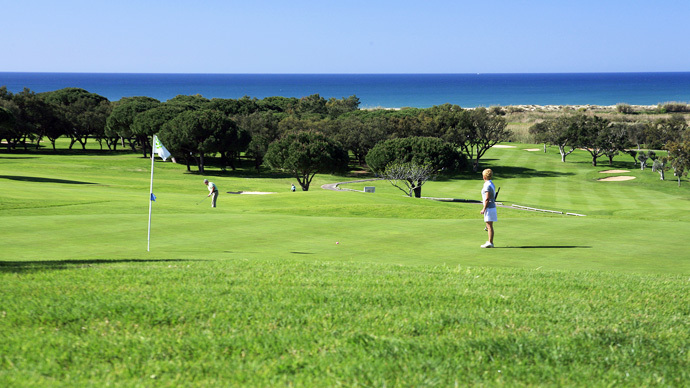 The back nine in particular are characterised by fabulous ocean views, with some holes almost stretching down to the beach. On reaching the brow of the hill on the 11th, players come suddenly upon a sight fit to take the most concentrated golfer’s breath away. 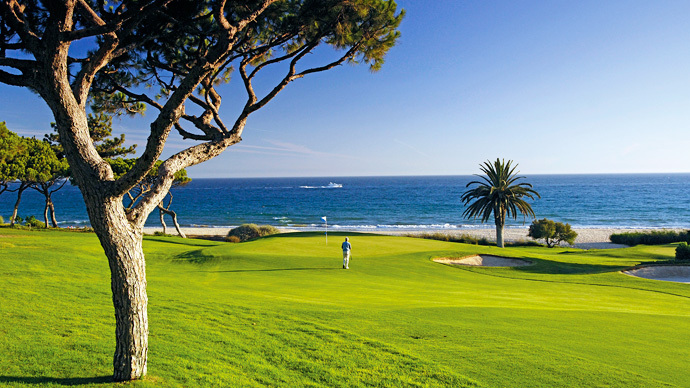 This is a golf course well worth playing at any time of the year. A field of 18 made for a good competitive day. Nearest the pin at the testing 7th hole was Tracey McCall – yes the same Tracey McCall who was nearest the pin a couple of weeks ago! At the shorter 17th David Exley pipped Steve Jinks by a matter of inches. With 4 ladies in the party, their prize was won by Helena Burke off 20 handicap with 28 points. Helena’s card featured several spectacular holes mixed with a number of “blobs”! In the men’s competition, Tracey also finished in 3rd place. Playing off 9, he scored 34 points. New member Alastair Smith scored a creditable 36 points off 15 handicap, but was pushed into 2nd place by Ron McLachlan – yes me – who shot 37 points for the first time since 2008! Handicap 13 next week! Socially, we returned to Parky’s where conversation went on well into the evening. Carlos reminded everyone that we have a Special day this Wednesday when we go to Salgados for some early morning golf followed by a meal at Chez Carlos Restaurante of traditional Feijuado (with Caipirinha and wine) prepared by Rosangela to her family recipe all for a price of 40€ for members or 50€ for non-members. Anyone wanting to join us for the meal only will be charged just 15€. 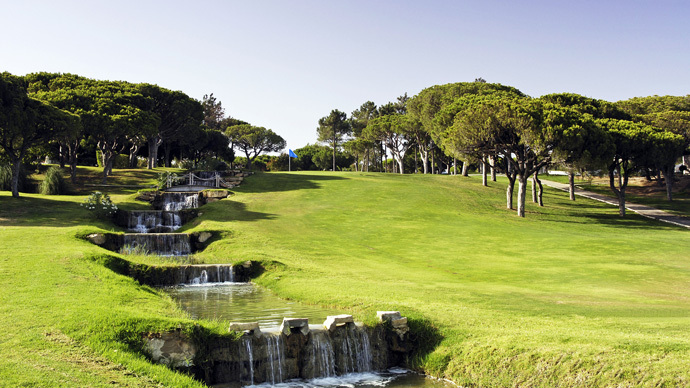 Next Saturday it’s Pinhal! See you then. 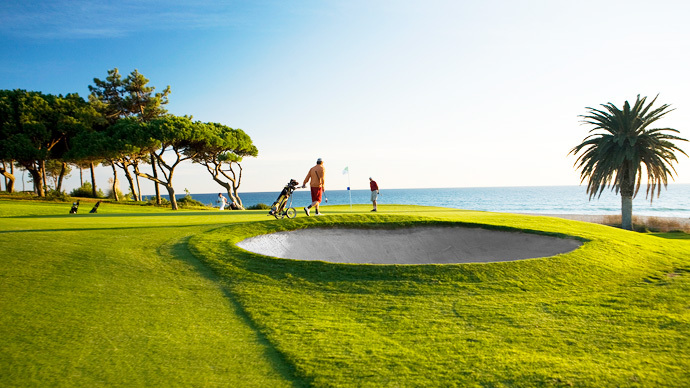 Play Vale Do Lobo Ocean and you will rarely have a special view ahead of you; it is probably more spectacular than its sister course The Royal. Essentially the front nine is new Ocean and the back part the old layout. Either way you play it is a treat. 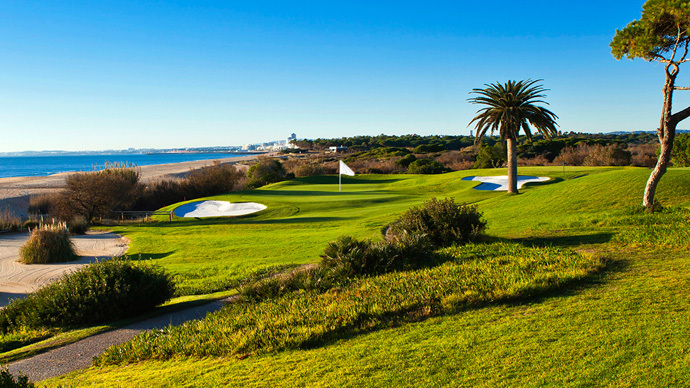 Rain had finally arrived in the Algarve this week much to the delight of the golf courses who have experienced a very dry winter todate. 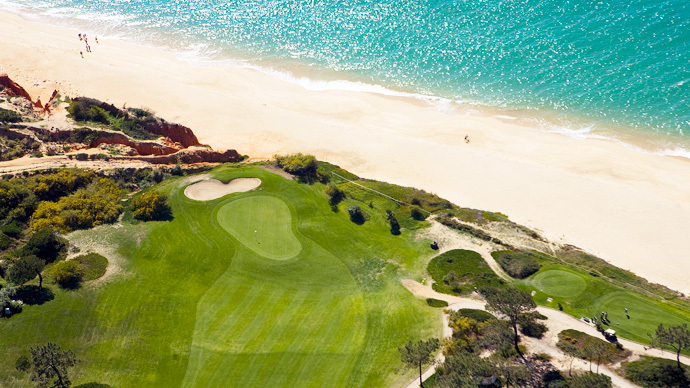 The greens whilst adundant with grass were slow and uneven - not usually a Vale Do Lobo trait. The morning rain subsided to leave us playing once again under blue skies and sunshine. As we all know the English like to talk about the weather but it is justified to mention to mention it here. December had simply been fabulous with dry sunny conditions throughout whilst January has continued a similiar theme. 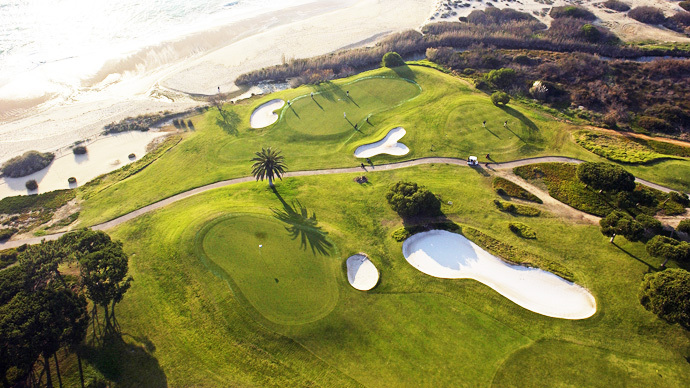 Consequently many courses are now having to irrigate at a time normally when the sprinkler systems are run at a mininum and as they depend on mother nature to do the rest. The course was in fine condition and presented a tough challenge and this was reflected in the overall scores many of which were sub 25pts. The winner came in with 36pts. 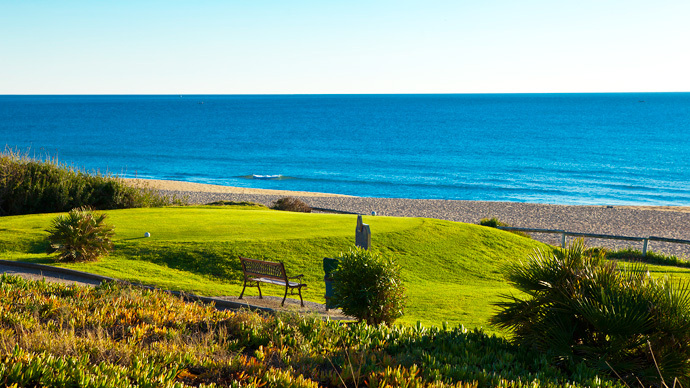 A couple of the members were seen talking to golf architect Rocky Roquemore in the VDL clubhouse that morning. 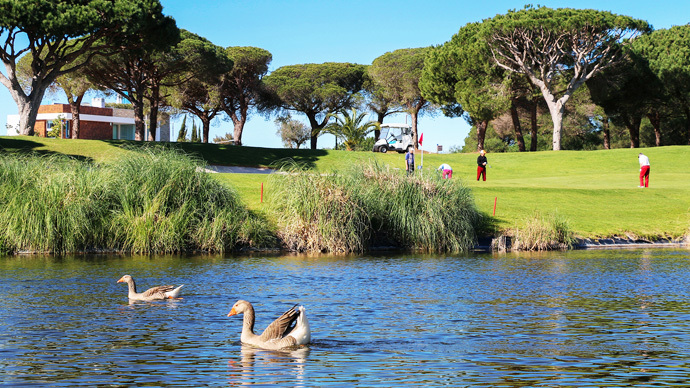 Famed for many a masterpiece that incudes San Lorenzo, Quinta Da Ria, Quinta Da Cima and Golden Eagle and Belas in just Portugal alone. 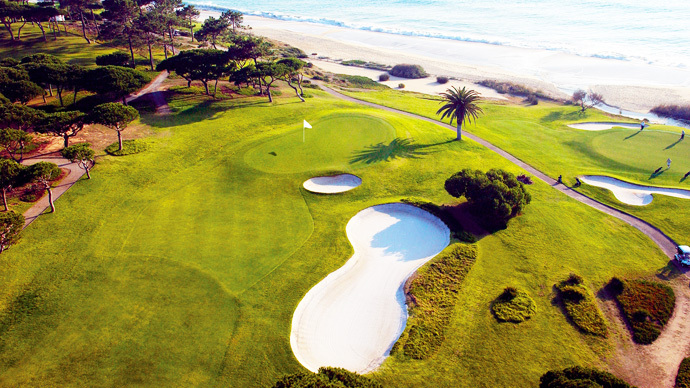 He was responsible for the remodelling of the Ocean course after the original blueprint laid down by Sir Henry Cotton.